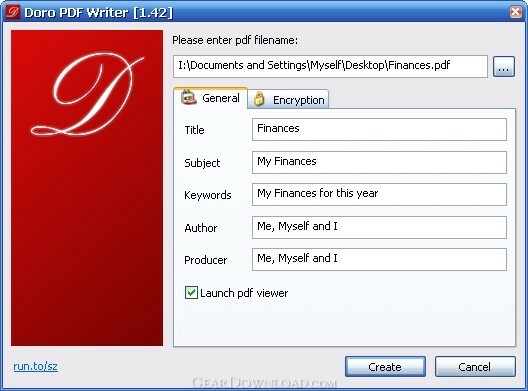 SpeedyPDF 1.3.0 - Create PDF files from virtually any Windows application that supports printing. Adolix PDF Converter 4.4 - PDF converter software. Create PDF in Vista. Convert PDF to image: tiff, jpeg. Print Maestro 3.1 - Print file tree and directory content in 1 click with PrintMaestro. novaPDF Pro 8.6.942 - novaPDF Pro allows you to easily create PDF files from any printable document. O&K Print Watch 4.7.0.3223 - Print manager to control and audit printing costs in your organization. DateInTray 1.6 - Displays today's date in the system tray, includes popup calendar. CoolPDF 3.0 - Convert to PDF and making PDF files of anything that can normally be printed.